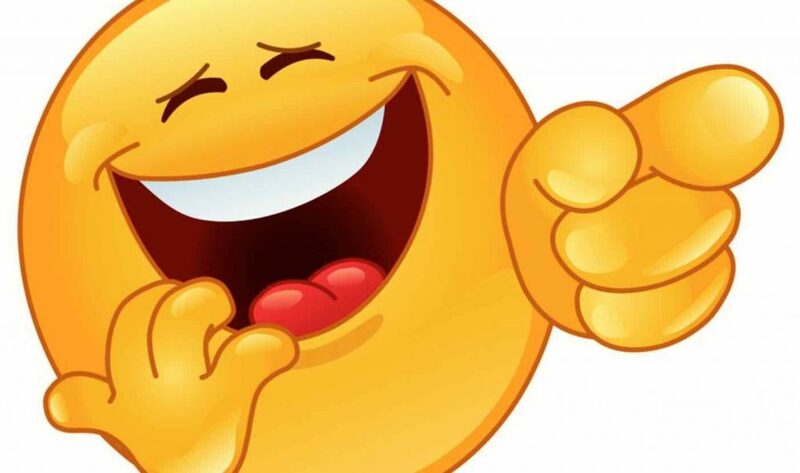 A sense of humour – fuel for your career! A good laugh is good for your health – this we have known for a long time. Some of the many advantages are for example fewer stress hormones, you become more creative, your memory and your relationships improve and you are better able to resist or fight off a number of diseases. According to a Swedish study (Adecco, ”The Joyous Report” from 2014), laughing more leads to increased profit and people being happier and more satisfied at work. The report also showed that managers laugh a little bit more than employees (on average 5.6 times per day vs 5.0 times per day). A lesser known fact is perhaps that those who make other people laugh have a lot to gain, not least in our workplaces! Being able to make people laugh can both improve your career and be an important leadership skill, according to research conducted at Harvard Business School and University of Pennsylvania (presented just over a year ago). • Those who made jokes and made others laugh were believed to be more self-confident, competent and of higher status than those who remained serious throughout. The very fact that you dare make a joke in your workplace shows that you are confident. If the people around you are also falling over laughing, this is brilliant for you, as you rise in people’s perception of you and appear very competent. It is actually quite a challenge to tell a funny story in such a way that people laugh out loud. • Those who made jokes but did not make others laugh were still seen as being more confident and their status was unaffected. So, if your joke falls flat and there is not even a murmur of a giggle, no harm done, even if it might feel a little embarrassing. People will still think that you showed courage and your status and competence will not be questioned (unless you insist on telling bad jokes all the time, in which case they might get fed up in the end). Scientists still recommend attempting humour in the workplace, even if there is a risk it might backfire. The pros still outweigh the cons, provided you manage to steer clear of the most inappropriate jokes. At Stanford University, they have even introduced a special humour course for future leaders. Humour is seen to be a very important leadership skill which strengthens the bond between people and thereby helps organisations become more efficient and innovative. A young boy enters a barber shop. “That is the world’s dumbest kid”, the barber whispers to his customer. “I’ll show you why”: The barber calls the boy and holds both his hands in front of him. In one hand, he has got a five-pound note, in the other hand two pound coins. “Now choose”, he says to the boy. The boy quickly chooses the pound coins, grabs them and leaves. “What did I tell you? He just never learns”, says the barber. When the customer leaves the barber’s, he sees the boy coming out of the sweet shop, eating a large ice-cream. “Can I ask you something?”, the customer asks. “Why did you not take the five-pound note instead of the two pound coins?” The boy replies, quick as a flash: “Oh, but that is obvious, is it not? The day I grab the five-pound note, this game is over!”. Ps. If you would like to read the rest of the world’s funniest jokes, you can do so here. You are now subscribing on our blog. If you possess this quality, you are very lucky indeed! Ten things that make your meetings really efficient! What is at the heart of your decision-making, analysis or gut feeling? Napping at work makes you more efficient! There is actually something positive about the cold weather and blizzards! How to fail... in a good way. New research tells us how. If you were given a new chance – what would you do differently? We develop people, organisations and business. Our clients grow, achieve more and feel great through clear processes and new ways of thinking. Enter your details below and we will contact you as soon as possible!